With Webware’s blogging tool, it’s easy to keep your audience informed and increase traffic to your website. 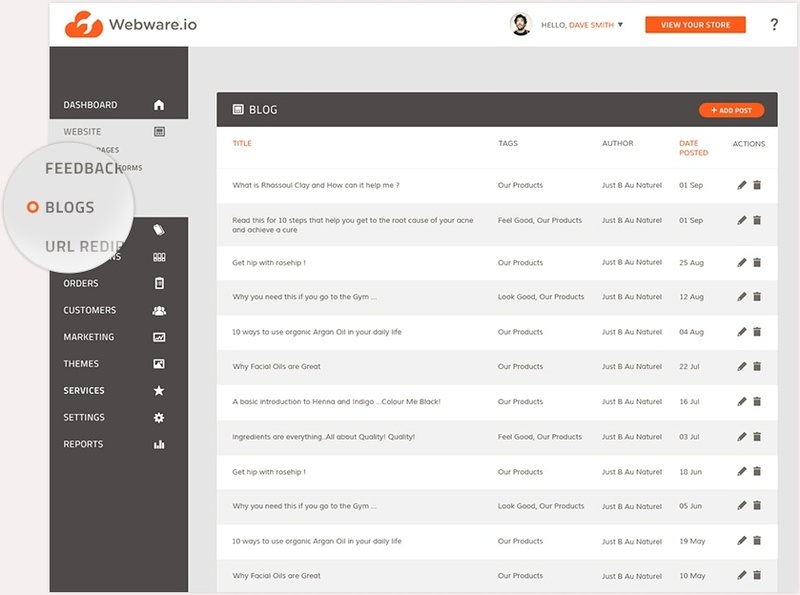 You can share knowledge, news, and updates with your customers from the Webware dashboard on your computer or mobile phone. In addition, Webware’s blog platform is hosted right on your website so you’ll enjoy the SEO benefits of a blog and website on the same domain. 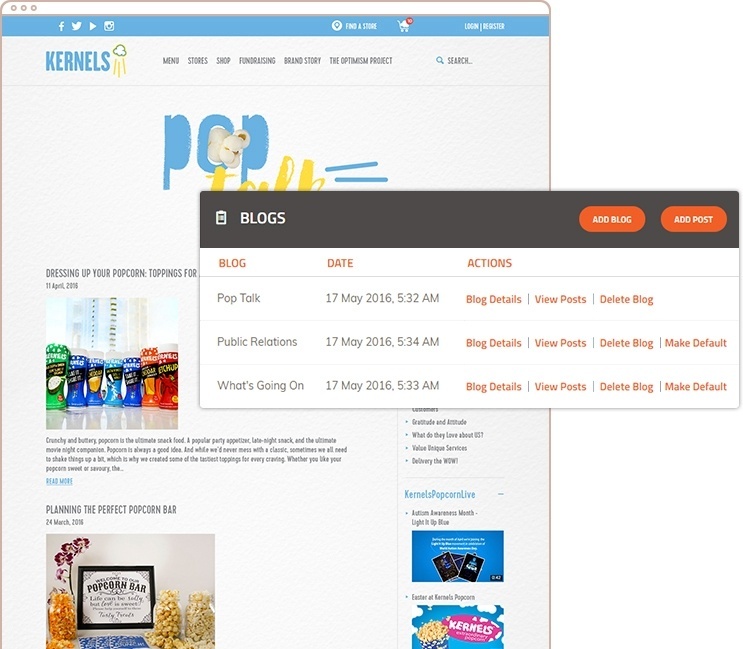 Webware’s blog tool allows you to create multiple blogs. If you want to cover various topics, or give different writers their own blog space, you can simply create multiple blogs for each subject or person. With the ability to create multiple blogs, you can put each blog in a different space on your website. By placing a specific blog on a corresponding webpage, your customers will be able to access all the information they need from one place. It’s simple to write, edit, and post blogs right from your mobile. 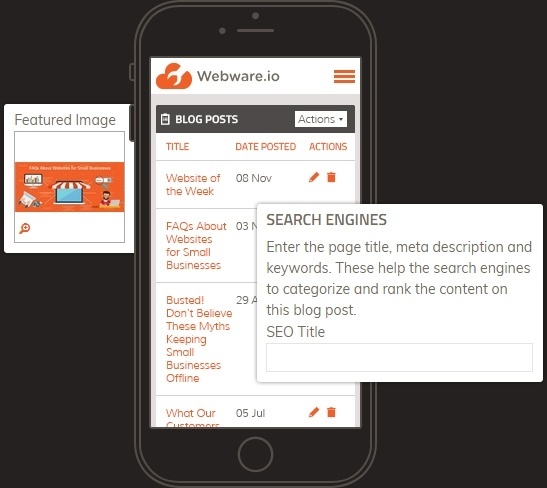 Webware’s blog tool can be easily managed from your mobile phone so you never have to worry about missing a moment of blog idea inspiration, blog posting deadlines, or always having a computer on hand. Share your blog posts with your audience in a snap! 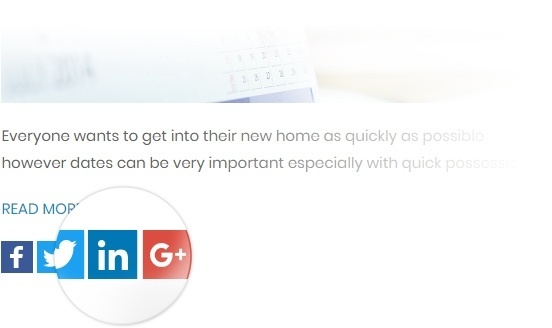 Forget the time-consuming task of signing into each social media channel to spread the word about your new blog post. With Webware’s built in social sharing function, you can post to Facebook, Twitter, and LinkedIn all at the same time, with the click of one button.